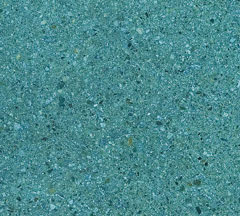 These finishes are provided by Vermont Eco-Floors as a general guideline for selecting a Polished Concrete Floor. In addition to different budget and aesthetic considerations, projects have different concrete providers with varying aggregate blends, sand colors, water ratios, slump requirements and finishing trowel requirements. We are familiar with Vermont concrete suppliers and the decorative attributes of their cements, and it is through the correct selection of a wide range of aggregate blends, diamond tooling, equipment and finishing products that we achieve the desired architectural and design results. We look forward to helping you achieve beautiful and durable results. 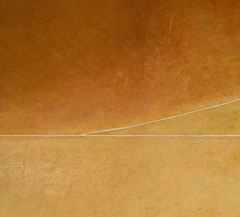 The Trowel Finish is often described as having motion. 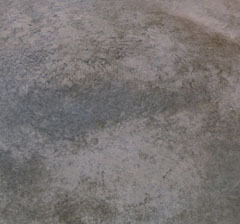 It is a very popular finish for residential floors with a unique mottled, leather-like look. Our seven step grinding and polishing process applied to the trowel finish placed by the concrete contractor, produces a unique one of a kind floor every time. A topical impregnating dye can be applied. Finish levels are usually 1000 (medium gloss), or 1500 (high gloss). Premium Lithium Densifiers and water or solvent based sealers are used. Grinding through the trowel surface of the concrete exposes salt & pepper sized sand and the concrete becomes harder and denser. A higher shine is common because of the greater density of the concrete and aggregate; a stone will hold a great shine. Our ten-step process creates a durable floor for commercial environments, and is also used residentially. Surface imperfections are removed and a level and monolithic floor is produced. Impregnating topical dye can be applied. Finish levels of 800 (matte), to 1500 (high gloss), can be achieved. Premium Lithium Densifiers and water or solvent based sealers are used. 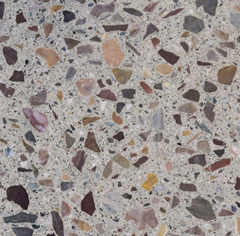 Exposed Aggregate floors use stone as the main decorative element. Vermont’s glacial till and natural stone in many sizes and colors provide an endless array of decorative options for a residence, a commercial floor, or an entrance lobby. These floors are often used when an existing floor is in rough condition. Our fourteen-step process exposes the stone placed in the concrete. These floors are very flat, durable, and hold a great shine. Finish levels of 800 (matte), to 1500 (high gloss), can be achieved. 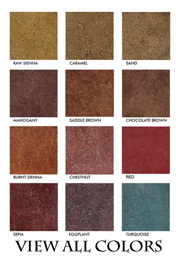 They make great garage floors that are unaffected by studded winter tires or truck chains. Heavy equipment may cause these floors to dull over time, but they do not peel or scratch like epoxy coatings. Impregnating topical dye can be added, and Premium Lithium Densifiers and water or solvent-based sealers are used.